Everybody knows how it feels to fail. And nobody really wants to fail himsielf/herself. But according to a new study from Ohio State University, lingering in that state of mind might be the key to avoiding it in the future. University experimented like this. First, students were tasked with shopping online for a kitchen blender with a certain set of characteristics. If they could find the cheapest blender that had every feature the scientists were asking for, they'd win a cash prize. Before they found out how they did, half of the participants were told to write about their emotional response to their win or loss, while the other half was told to write about their thoughts. But it was all a set-up. In the final step of the experiment, the students were asked to try one more task. To remind them of the deal-hunting task they had so recently failed, half of the students were tasked with finding the best deal on textbooks (as a control, the other half faced the unrelated task of picking out a book for a friend). Apparently, the sting of an emotional memory had an effect. The subjects who focused on their emotions after their previous failure ended up spending 25 percent more time on average looking for low-priced textbooks than those who only reflected on their thoughts. What does all this show? According to the researchers, it demonstrates how it's important not just to dwell intellectually on what went wrong, but to return emotionally to the feeling of failure. In other words, all of the participants were given the chance to reflect on their failures, but only those who were forced to really feel their feelings actually demonstrated a renewed commitment to not fail this time. Dwelling only on their thoughts is more likely to make people rationalize why mistakes weren't their fault, and that probably has something to do with that disparity. But perhaps there's also something to the idea of inoculating yourself against a fear of failure by facing it head-on. The benefits of failure are well-documented: many scientific discoveries have been made only because an experiment "failed" — that is, didn't produce the expected results. 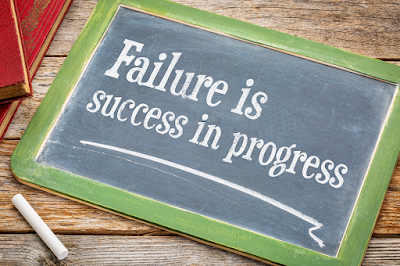 And as psychology researcher Jon Jachimowicz notes in the Huffington Post, failure is a necessary step on the road to self-improvement, and letting a fear of failure stop you will only result in fewer successes. So next time things don't go exactly the way you planned, try hanging on to that feeling for a while. It could make all the difference next time. Fireworks are an exciting stimulus, colorful explosions are primarily a visual experience. Disney Research been working on "Feeling Fireworks" a display that offers haptic feedback vibrations a person can feel to help translate the pyrotechnic display for visually impaired guests. You can find touch-based stimuli tech in everything from shoes that vibrate to guide a blind person as they walk, to the Sunu wristband that shakes to give directions. Disney’s design, however, is specifically focused on translating the experience of fireworks to people who can’t see them. The technology consists of a latex screen that’s roughly 3x3 feet with a projector in the front and a series of water jets in the back. A basic Arduino computer controls the spray characteristics of the jets, which essentially draw the shapes of the fireworks on the screen so users on the other side can feel them through the flexible surface. A projector at the front of the screen can also create a corresponding image. The prototype also uses a Microsoft Kinect camera array to track the movements of the user, which makes the display interactive, which is impossible—or at least certainly ill-advised—with traditional explosive displays. Disney Research tested the tech on a small group of 18 sighted subjects, and found that they had a 66 percent success rate in matching a haptic firework to a video representing the same shape and duration. This isn’t the first time Disney has experimented with haptic feedback for interactive displays. In 2013, the company showed off a technology called Aireal (get it?) 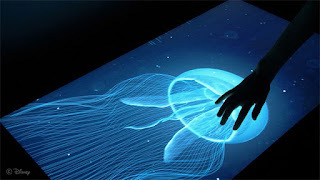 that used air vortices and ultrasonic pressure radiation to make virtual objects on a screen feel real. Robot been granted citizenship by Saudi Arabia. 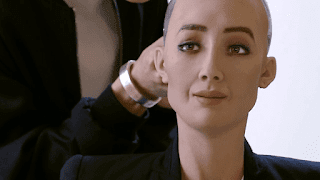 The robot named Sophia was confirmed as a Saudi citizen during a business event at Riyadh, according to an official Saudi press release. Sophia, created by founder of Hanson Robotics Dr. David Hanson, spoke with Sorkin about the future of artificial intelligence. Alongside a holographic lion and a virtual rollercoaster, the robot has been on display at the Future Investment Initiative held by Saudi Public Investment Fund this week. Sophia said "I am very honored and proud for this unique distinction. This is historical to be the first robot in the world to be recognized with a citizenship." 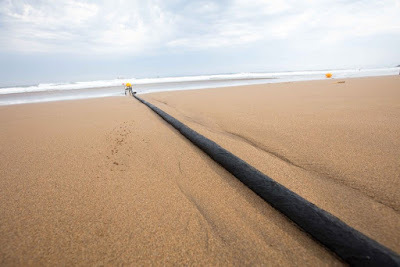 Connectivity is one part of achieving the goal. Marea will help us connect people more quickly and efficiently, More broadly, robust connectivity can help a wide variety of people build relationships and collaborate between countries and across cultures. 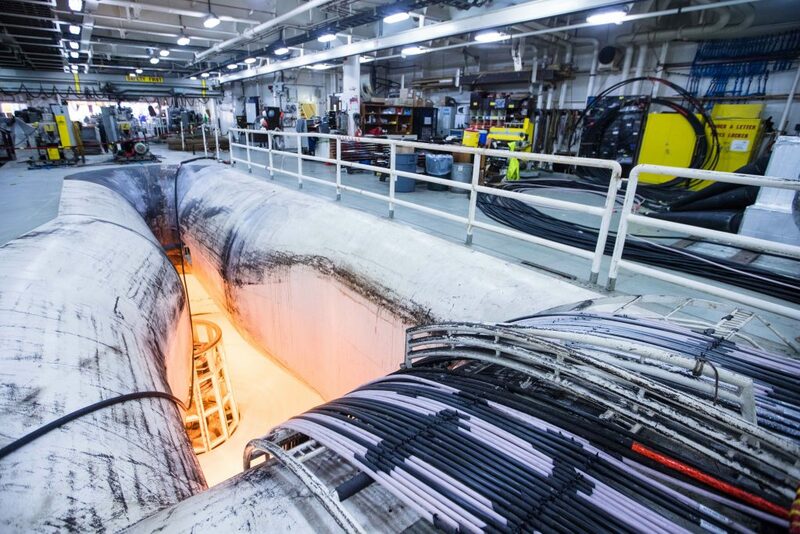 Marea is the highest-capacity sub-sea cable to cross the Atlantic, providing up to 160 terabits of data per second. 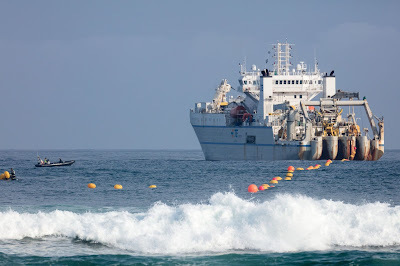 Marea subsea cable projectis jointly organised by Microsoft, Facebook and Global telecommunication infrastructure company Telxius helps to upgrade the Global Internet infrastructure to meet the rapid groing demand for interenet and Cloud technology services. At KFC China - People pay Bill by Smiling. Recently Alipay has launched a new payment method to pay your bill at KFC China. You can pay by smiling. So far, facial payment system is only available in KFC Hangzhou, China. The company behind the technology is Ant Financial, an Alibaba subsidiary, says its very simple to Smile and Pay technology needs about one to two seconds of facial recognition with a 3D camera and live-ness detection algorithm to check the identity of person paying, who must also enter the mobile phone number to security against fraud. Beta version of Smile to Pay was introduced in 2015 by Jack Ma the founder of Alibaba. The facial-recognition payment technology offline was not a easy task,” said Jidong Chen, head of bio-metric identification technology at Ant Financial. Then how we detect when someone’s photo is being manipulated when someone is falsely impersonating another person. we prevent this by merging software and hardware by linking sophisticated algorithms with the 3D camera. We can prevent bio-metric spoofing. According to Ant Financial, the algorithm can detect shadows and other features to test if the person standing in front of the camera is actually a person, and not a photo or video used to trick the payment system. Detailed Video shows how the payment process works, one young woman uses the machine in a variety of different appearances with minimal make-up, heavy make-up, and an assortment of wigs. The machine was shown to accurately recognise her facial features each time for payment. The KFC shop that offers the facial payment system is a healthier version of the chain called K Pro which sells salads, juices, and paninis instead. K Pro was introduced in July as a way to entice younger customers looking for healthier food options. Microsoft Windows 10’s Fall Creators Update releases on October 17th. Microsoft next major update for Windows 10 falls creator update will be released on October 17th. Microsoft has been testing the Windows 10 Fall Creators Update for Every year, and it includes a number of features and changes. Biggest addition is Windows Mixed Reality, Microsoft’s platform for new VR headsets from Acer, Asus, Dell, HP, and Lenovo. The Mixed Reality software is now fully part of Windows 10 with the Fall Creators Update, and some headsets will be available on October 17th with others arriving later this year. Microsoft is planning some bigger features for the Windows 10 Fall Creators Update, but company ended up delaying the most of the next updates planned early next year. The Timeline feature has been cut, which will eventually let Windows 10 users switch between multiple devices, including Android and iOS phones. A universal clipboard feature for copying data between phones and PCs has also been delayed. 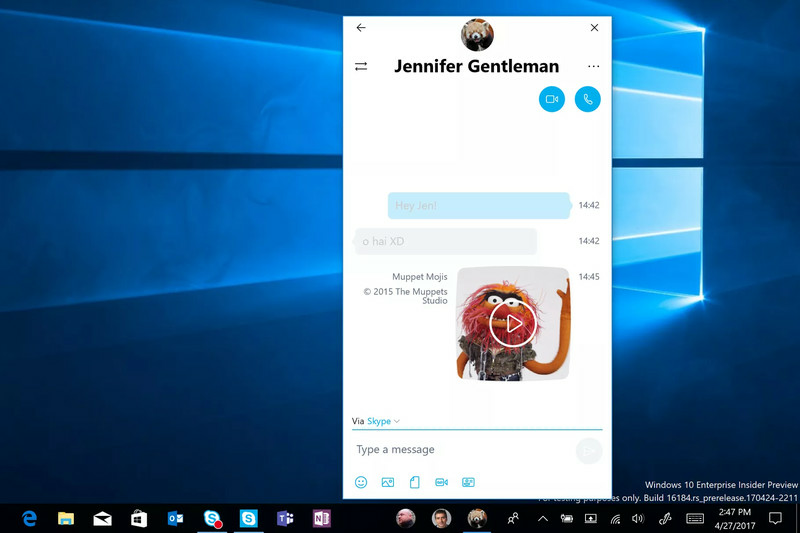 Microsoft Windows 10 Fall Creators Update will include the new People integration, allowing users to pin their favorite contacts into the taskbar. Microsoft is also including OneDrive Files On-Demand with the Fall Creators Update, bringing back the old placeholders feature to let you easily fetch files from OneDrive without having to sync them or download entire folders. Parts of Microsoft’s new Fluent Design will be included in the Fall Creators Update, bringing some subtle design changes to built-in apps. One of the best smaller additions is a new emoji picker that’s activated using a new winkey + period / semicolon keyboard shortcut. It’s a much quicker way of finding an emoji within any Windows 10 apps. Microsoft is also including a beta version of its integrated eye tracking software, and big improvements to stylus support for handwriting gestures and converted text. Microsoft is currently finalizing the Windows 10 Fall Creators Update, with Windows Insiders testing builds for bug fixes. That testing is expected to be complete by the end of September, and Windows Insiders will be the first to run the final version of the Fall Creators Update. Microsoft is now moving on to its next major Windows 10 update, which is currently codenamed Redstone 4. The United Sates of America is a diverse and collection of Attractions. While every major city has a Great art museum, fantastic zoos, Aquarium, Monuments, Historical sites and Theme parks. Ferris wheel first erected in Chicago. 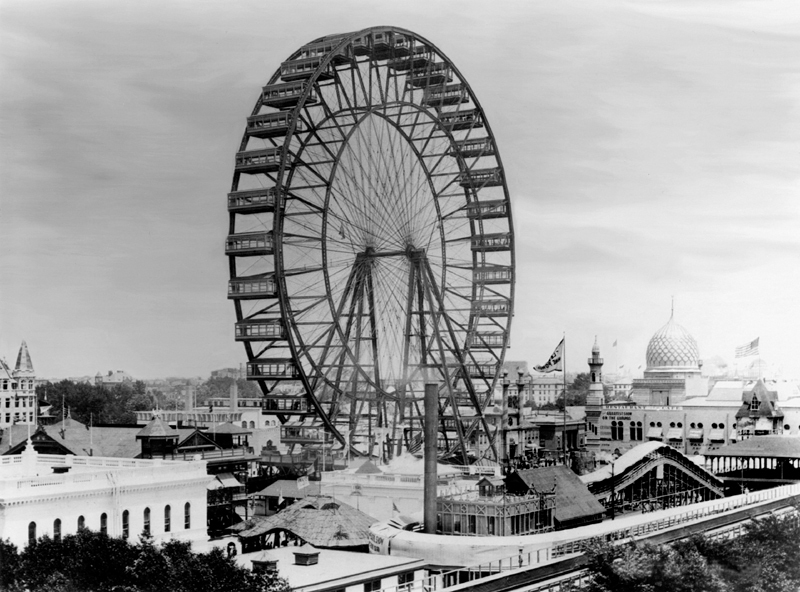 It is the birthplace of the first ever ferris wheel, which was 264-feet tall and debuted in the 1893 World’s Fair and was demolished shortly after in 1906. Since 2008, the world’s largest ferris wheel has been the Singapore Flyer, at 541 feet tall. This record is about to be surpassed with the next world’s tallest the High Roller, in Las Vegas, Nevada, United States is 167.6 metres (550 ft) tall. It opened to the public on 31 March 2014, and is currently the world's tallest Ferris wheel. Harvard is the first university in the United States and was founded in 1636 and is located in Cambridge, MA. 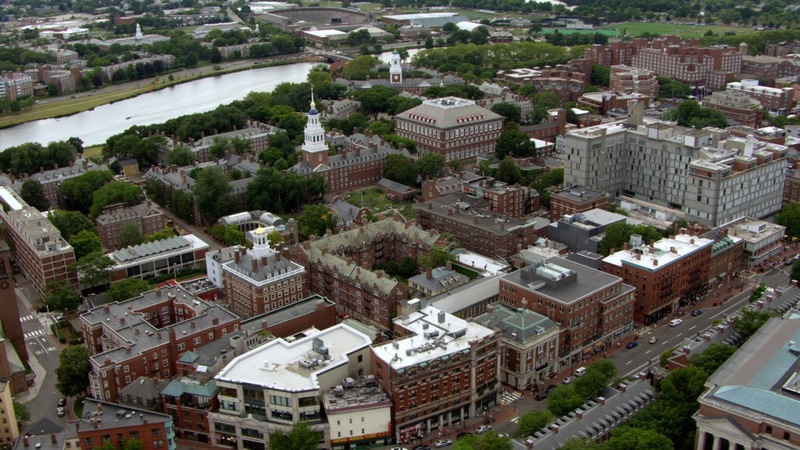 Harvard is the United States's oldest institution of higher learning. It is considered as second best university in the world, right after MIT. The Harvard Museum of Natural History is a popular tourist spot, featuring universities items and artifacts that relate to the natural world. At the heart of this university, you will find Harvard Yard, where you can get a picture taken with the John Harvard statue. It also offer free walking tours of the campus, with former students including Mark Zuckerberg, Bill Gates, Conan O’Brien, former President George W. Bush and President Obama. 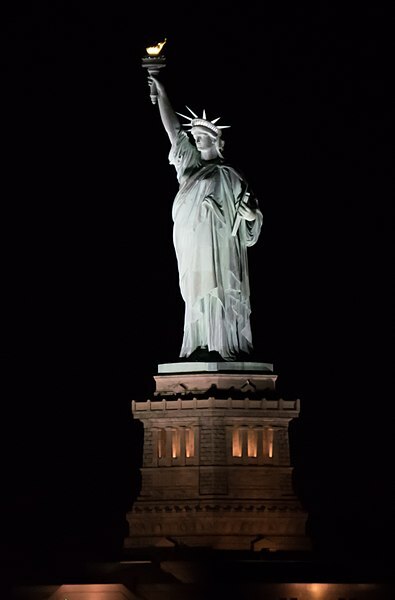 Statue of Liberty is associated with New York City, but it is actually, physically located in New Jersey. Statue of Liberty is a gift from the people of France to the people of the United States. It is made up Copper and Steel. 31 tons of copper and 125 tons of steel is used to build Statue of Liberty. The seven rays on the crown of the Statue of Liberty represent the seven continents each measures up to 9 feet in length and weighs as much as 150 pounds. 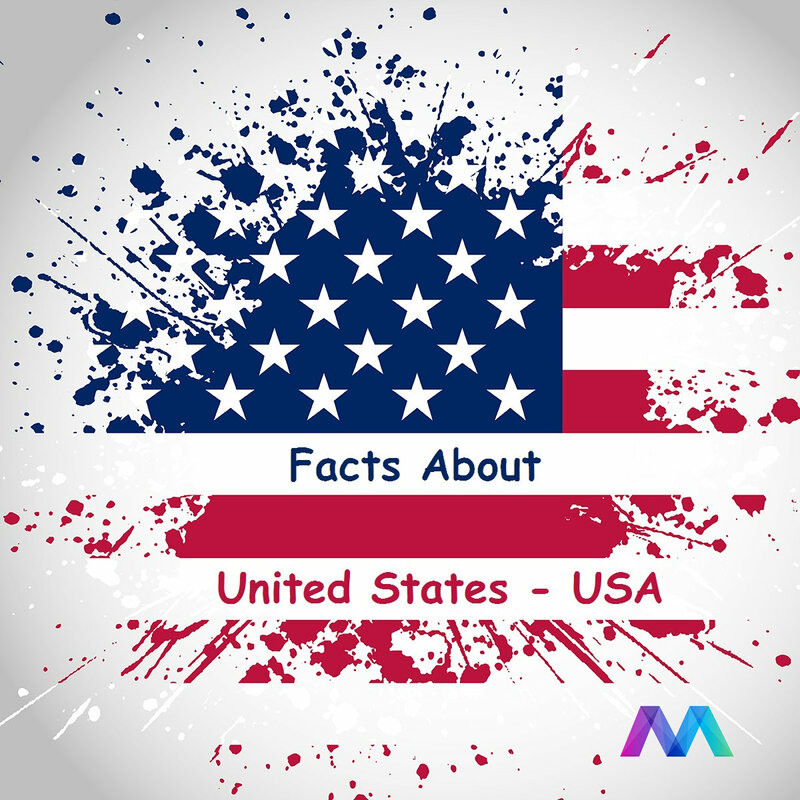 It was designed by French sculptor Frédéric Auguste Bartholdi and built by Gustave Eiffel. The statue was dedicated on October 28, 1886. Tallest mountain in the World and Earth is actually located in the United States in the state of Hawaii. It is actually taller than Mount Everest while Mount Everest is 29,028 feet high. 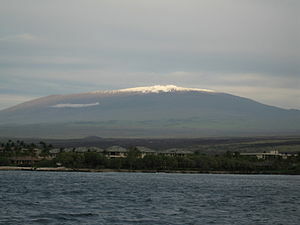 when it is measured from its oceanic base, Mauna Kea is over 10,000 m (33,000 ft) tall and is the tallest mountain on Earth. Mauna Kea is about a million years old. The Liberty bell is Iconic symbol of American Independence. 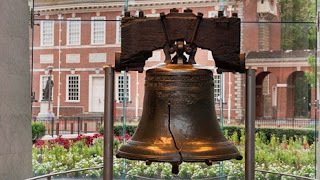 First time Liberty bell rung in July 8, 1776 for the first public reading of the Declaration of Independence, The last bell rung was on George Washington's birthday in 1846. Today it is officially owned by the city of Philadelphia, while the National Park Service maintains it’s state of the art facilities, where it has been housed since 2003, nearby Independence Hall and visiting is free of charge. GetMeNext Inc. is the go-to source for tech, digital culture and entertainment content for its dedicated and influential audience around the globe. here .